After playing Tetris on the PSP for hours I’ve become addicted to it and have been playing every version I can get my hands on. 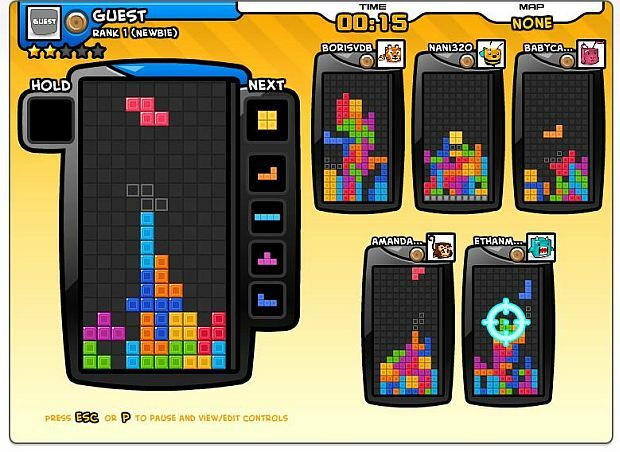 Mainly I have been playing on Tetris Friends which has some great online versions of Tetris including a remake of GB Tetris. I wrote an article some ago on Tetris for another website which has long since deceased, I discovered many forms of tetris ranging through 3D, 4D and beyond. I figured since this year it’s Tetris’ 25th anniversary I’d write another. Read on for more. First off we’ll start off with the first Tetris I ever played which was the Gameboy version, I must have spent hours and hours playing Tetris it was the definitive Gameboy game. Simple controls and an easy to learn format are what made it a hit, it sold over 35 million copies on the Gameboy. It had only the basics of what we consider standard in Tetris games these days, there was no hard drop, no holding shapes and playing it now you can tell that modern Tetris games have better algorithms for choosing the next shapes, in the Gameboy version you can get certain shapes over and over but contemporary games tend to be more fair with which shapes come down. Tetris games did exist before the Gameboy version on the PC and the NES, but after the massive success of the Gameboy version Tetris has made its way onto almost every platform imaginable. Almost every game has kept the same 6 shapes and layout. 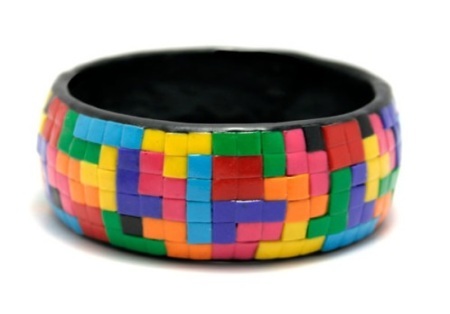 Other games have dabbled with extra shapes and other formats but the original shapes and format have always been the most popular. The next logical step from the age old Tetris formula was the jump to 3D, many different attempts have shown up on many different platforms. The main problem with 3D Tetris is deciding which angle to view the game from. Some opt for isometric, some from above and others take another approach altogether. 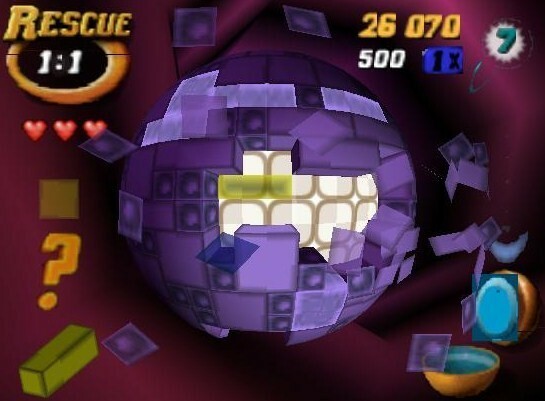 One of the most notable 3D iterations of Tetris was Tetrisphere on the N64, it plays as it sounds you have a sphere where you drop blocks onto and build layers much like lines in conventional Tetris. A few of the 3D Tetris variants. One of the major problems with 3D Tetris games is the rotation of the blocks becoming confusing and seeing layers that are underneath other layers. It’s never really taken hold and 3D Tetris exists on the fringe of the Tetris world confined to Java games and freeware titles. In a normal 2D tetris the goal is to drop down blocks of squares in a grid, and fill lines with these squares. There are 3D Tetrises (based on BlockOut). In these games you have to drop solids built up from cubes to a 3D grid (like a well) and fill its planes. Now the next step is the 4D Tetris. Here you have to handle 4D hyper-cubes and fill 3D spaces of the “hyperwell”. The problem is in creating 4D Tetris, that we can see only 3D and we have only 2D displays (yet). 3D tetris solves the problem by perspective projection. We see the upped side of the cubes fully, represented with 2D squares, and they are shrinking by falling down to the floor plane. If we use two perspective projection in a series, we can represent the 4D gamespace also. In this case, we see the upper “side” cube of the hypercube, and these hypercubes shriking down to the “floor” cube of the game space. Righto, I don’t quite understand it myself but I’ll probably give it a go at some point. There are also programs that will let you play in 5 or even more dimensions, however these are rare and confusing to say the least. There also exists 1D Tetris where you have a board 1 block wide and every piece is 1 block wide so every time you drop a piece you get a line and you can’t move from side to side. 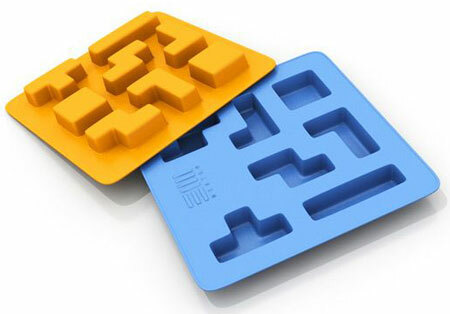 Of course other than the games themselves Tetris has become an icon, with “tetroids” being made into everything from ice cubes to shelves. Tetris has been played on the sides of buildings, oscilloscopes, calculators and more. Get yourself there and play some games, maybe I’ll see you there. 2011/06/23 - HappyWulf comments on Has anybody ever done a 3D rendered in 2D isometric Tetris game before?